I strive for accuracy in all my work, so if you notice any errors, please let me know so I may make corrections. Also, I apologize if some of the language is too faux-academic; I’ve found it enjoyable to write in a professorial tone—so much so that I find myself wondering if I chose the wrong career entirely. That, however, is a discussion better suited to my blog, The Litigation Monkey, which I invite you to visit if you’re interested. Those who believe the Amanuensis was V. M. Straka point primarily to the novel The Black Nineteen (1925), which reads as if it is a guide to the innermost workings of The Black Hand as well as an authorial confession to many its acts of cold-blooded political violence. “Amanuensisists,” as they are derisively called by many Straka scholars, generally argue that the other Straka novels were purely literary efforts, works that he authored as a diversion from the cutthroat world of Balkan politics. Most Straka theorists believe, though, that while Straka’s work is deeply political and often radical, the bloodthirstiness in The Black Nineteen is not matched elsewhere in his body of work. As a result, they see it as a sensibility the author chose to adopt for the purposes of that book, not an indication of who the author truly was. Much depends, then. on whether one reads The Black Nineteen primarily as a work of autobiography, reportage, or fiction, and the answer has never been convincingly demonstrated. Violence is much more extreme (and less morally ambiguous) in Black Nineteen than in any other Straka novel. Little evidence that Amanuensis had interests beyond fanatical Serbian nationalism. Little evidence that he even existed, for that matter. F. X. CALDEIRA (? - 1964? ), the Brazilian translator and editor credited with work on all of Straka’s novels beginning with The Spotted Cat (1924). 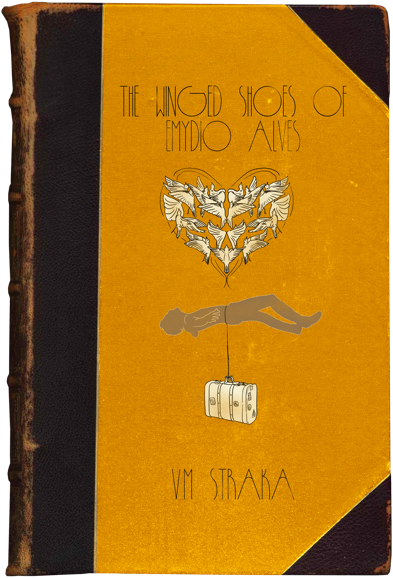 After Straka’s longtime publisher Karst & Son suddenly ceased operations in 1946, Caldeira formed his own publishing company, Winged Shoes Press (a nod to Straka’s The Winged Shoes of Emydio Alves (1942)), and used his own money to publish Straka’s final book, 1949’s Ship of Theseus. The volume contained a foreword and was aggressively annotated; such editorial additions were unprecedented in Straka’s body of work. In the foreword, Caldeira made several startling claims: (1) that he had kept in regular correspondence with the mysterious author but did not know his true identity; (2) that Straka had summoned Caldeira to Havana in 1946 to hand over the final chapter of the book in person but was killed before he could do so; and (3) that the final chapter in the published version Ship of Theseus is in fact Caldeira’s reconstruction of an incomplete manuscript retrieved from Straka’s room in Havana’s Hotel Sebastián shortly after the murder. The implausibility of Caldeira’s claims—and, indeed, what many consider the strangeness and ungainliness of Ship of Theseus as a whole—have led some to speculate that the entire book was a creation of Caldeira’s (a work of homage, perhaps), that Straka had in fact died in 1944 or 1945, and that the tragic drama of the Havana story was a fabrication designed to boost sales. Sales were, in fact, very poor; the book was savaged by many important critics (including the longtime Straka antagonist Edsel B. Grimshaw of McKay’s Magazine), many of whom argued that with the world so profoundly changed by World War II, Straka had become a relic of a bygone age. The book’s commercial failure was taken by many as proof of this. Even apart from the questions about the authorship and provenance of the Ship of Theseus manuscript, Caldeira is not highly regarded in the world of Straka scholarship. As a result, he is rarely treated as a Straka candidate worthy of serious consideration. He had no demonstrable literary pedigree, nor even a university degree, which makes his claim of fluency in a dozen languages that much more difficult to swallow (as do some apparent mistakes in his translations). Nothing is known of his birthdate or birthplace, and nothing was heard from him after the publication of Ship of Theseus. An “F.X. Caldeira” is believed to have died in Brazil in 1963 or 1964, but even this is not well-supported. The only people who believe that Caldeira was Straka, it seems, are those who believe that Caldeira did not exist—that he was a fiction, an alter ego created by Straka himself (although it is not at clear why Straka would have needed to create one). Of course, if this is true—that Straka and Caldeira were the same person—then those who love Straka but disdain Caldeira have an interesting conflict to explain away. In any event, the Caldeira-as-alter-ego theory leaves us no closer to figuring out who Straka was; it simply gives us another name/identity that the author may have conceived and used. It is undeniable that there was at least some connection between Straka and Caldeira. His multilingualism (even if imperfect) could account for the many different languages in which Straka wrote his manuscripts. No evidence that Caldeira had the education, experience, ability, or taste to write such a diverse body of (mostly) important literary works. Much more likely that Straka was Caldeira than that Caldeira was Straka. JUAN BLAS COVARRUBIAS (18?? – 18?? ), the legendary “Last Great Spanish Pirate,” who is believed to have plied his trade well after New World and European piracy had largely been eradicated. Stories say that he was the great-great-grandson of Blas Covarrubias Quintanilla, who terrorized Caribbean waters in the mid-to-late 1700s, although though there are no primary sources to confirm that Blas Covarrubias had any descendants. Covarrubias Quintanilla was never captured, nor were his remains (or those of his ship) ever found, and there is even less evidence of his purported grandson’s existence as anything more than a rumor. Arguments against the Covarrubias Theory: first, if true, it would mean that every Straka book was published posthumously and required extensive intervention from a contemporary writer/editor. Second, 99% of Straka scholars and sensible people of all stripes think that Covarrubias Theorists are ridiculous people who are just fascinated by pirate stories and are not to be taken seriously. The Spotted Cat shows familiarity with the piratical life and much knowledge of the Nazca region. Would have been widely-traveled; would have had access to many stories from different parts of the world. It’s fun to believe in literary pirates. Almost certainly died before any Straka books were published. May not have existed in the first place. AMARANTE DURAND (1890 – Dec. 1937 or Jan. 1938), French archaeologist, suffragist, and novelist. She was born in Tours, where her father, noted archaeologist Valentin Durand, held a professorship. As her mother had died during childbirth, she spent nearly all of her childhood at her father’s excavation sites in the Dordogne region, receiving much of her education while in the field. A prodigious intellect, a dedicated student of her father’s work, and a young woman of astonishing maturity and hardy spirit, she was by the age of sixteen supervising work at Valentin’s site near Saint-Cyprien while he was away on a lecture tour in America. Their relationship became strained when Valentin read in a newspaper that, in his absence, Amarante and a group of local amateur enthusiasts had discovered a prehistoric cave with elaborately painted walls in the nearby Valojoulx area. He demanded that she wait to explore the cave further until he returned and could oversee the project; she refused, making it clear that the discovery was hers and that all future efforts there would be hers as well. (Many have speculated that these sites are the models for the setting in Straka’s fourth novel, The Painted Cave (1919). Interestingly, though, the novel contains a note-perfect description of the painted walls in a different cave—the famed one at Lascaux, which was not discovered until 1940.) Father and daughter never reconciled; the following year, Valentin died of a spider bite while investigating excavation sites in Egypt. Amarante continued work in Dordogne throughout the 1920s but also partook of the archaeological rush to Egypt, making notable discoveries in both places. Primarily a writer of archaeological papers and political essays, Durand’s output of fiction was limited but important. L’histoire Tragique de Marie Sergeant (1911), published when she was just twenty-one, served as a call to action for suffragists worldwide. Chrysanthèmes d'Avignon (1919), published under the penname Estelle Plamondon, was an experiment in literary impressionism; it received favorable reviews but sold only modestly until 1924, when the publisher “accidentally” told a reporter the author’s real name. Though irritated by this breach of trust, Durand did acknowledge the book as her own and did not shy away from discussing it. In 1934, she published her magnum opus, the remarkable Je te donnerai toutes ces choses (English: All of This to You I Give). A sweeping epic and a visionary indictment of the excesses of consumerism, the cruelties of capitalism and fascism, and the venality of politicians, it was (and is) considered by many to be among the world’s finest novels of that decade. In several interviews at the time, she acknowledged owing a literary debt to Straka; if she was Straka, then this was a striking bit of games(wo)manship. Troubled by developments in Spain, Durand had put her archaeological work on hold and taken up residence there in late 1929. Over the next eight years, she helped to galvanize the Mujeres Libres movement and—literally—took up arms against the Fascists. Notably, she expressed little regard for writers like Hemingway who purported to be helping the Republican cause, but whom she considered to be “drunken dilettantes.” She was kidnapped and killed by Fascist forces near Madrid on New Year’s Eve, 1937, betrayed by her onetime comrade Tiago García Ferrara (himself a compelling Straka candidate). Her death has been the subject of several books and documentary films, most notably La Perfidia del Poeta (1989, Dir. : Beatriz Sicilia). Some commentators have suggested that Durand was too busy with her archaeological pursuits, her activism, and her own writing to have been V. M. Straka, though others have pointed out that this same standard is rarely applied to the male candidates. In perhaps a further demonstration of entrenched sexism, much attention has been paid to her rumored romantic exploits (which include alleged trysts with the much-older Torsten Ekstrom, who frequently visited her digs, and with Guthrie MacInnes, whose 1940 bodice-ripper The Sands of Kom Ombo features a narrator engaged in a torrid affair with a volatile female archaeologist). Still, it is evident that Durand ran in the same circles as several of the most plausible Straka candidates, and I think she ought to be considered as seriously as any of them. Died in early 1938 (at the latest). Too busy to have been Straka? Several linguistic analyses suggest strongly that Straka was not a native French-speaker, which Durand was. TORSTEN EKSTROM (1868-1931), Swedish author, best-known and much-beloved for his children’s stories and plays, including White Oak Chronicles (1901) and The Prince of Ankarsvik (1906), which even today Scandinavian schoolchildren read and perform. Ekstrom was an expert sailor, a legendarily strong swimmer, and (in his younger days) an outdoorsman and adventurer who enjoyed a close friendship with the Norwegian polar explorer Fridtjof Nansen. After graduation from university at Uppsala with a degree in zoology, he began legal studies, married, and became a father. Against his wife’s wishes, he accepted an invitation to join Nansen’s 1893 expedition to the North Pole and spent many months assisting in preparations. Shortly before the Fram was to set sail, though, he shattered his leg in a skiing accident and had no choice but to withdraw. He returned to his home to Stockholm but found that his wife had left, taking their son with her. It is believed that Ekstrom never saw either of them again. He took up writing as an escape from what he later called “the darkest gray of sadnesses,” and his strikingly light-hearted, whimsical tales of adventure and moral scrupulousness proved an immediate sensation. Though Ekstrom became a celebrated public figure—identifiable instantly by his prodigious, immaculately-groomed, and much-emulated mustache—he kept his personal life guarded and was generally regarded as a man of seriousness, moderation, and moral rectitude. (There were whispers of discreet affairs with a few well-known women, including the noted Italian opera singer Ottavia Poggi and the much-younger archaeologist, novelist, and Straka candidate Amarante Durand, though none of these have ever been documented.) In his later years, though, Ekstrom shunned public life and came to be thought of as a recluse. He died in January 1931 in a fall from a hotel balcony in Paris; whether it was accident or suicide remains unclear. Ekstrom has long been thought one of the most plausible candidates (running a close second, perhaps, to Guthrie MacInnes). The critic Evelyn Stanhope published a paper that exhaustively detailed similarities between Straka’s and Ekstrom’s books and agued that “V.M. Straka” was a penname Ekstrom used in order to write dark and politically subversive novels for adults without jeopardizing his social status, his popularity in the world of children’s literature, and his income. (Stanhope also suggested, with less rigorous support, that Ekstrom was inspired to write as Straka by Nansen, who in 1909 had admonished him publicly for not using his fame, good will, wealth, and literary talents to advance the common good.) Even a cursory glance at Ekstrom’s bibliography shows that his output of children’s work diminished to nearly nothing during Straka’s most prolific publishing years, a fact that some have taken as evidence that Ekstrom and Straka were the same. Still, Ekstrom died—very publicly—in 1931, which would mean that Straka’s last seven novels had to have been written before then (perhaps with period-specific details adjusted by F. X. Caldeira or by an unknown editor contracted by his publisher, Karst & Son). Alternatively, Ekstrom (or Karst) could have passed the Straka mantle to a younger writer either before or after the Swede’s death. Also, there is little evidence that Ekstrom had anything more than a passing interest in political or economic issues; indeed, the few letters he wrote in which he discusses such matters at any length suggest that he was fairly conservative—and he wrote all of these during his collegiate years and his twenties, when one might expect him to have been more radical. There are, to be sure, difficulties in the Ekstrom-as-Straka theory, but there are such strong similarities between the two authors’ styles that it cannot be dismissed easily. Prim & conventional in habits; believed to be fairly conservative in his politics, unlike the radical leftist (some would say anarchist) Straka. REINHOLD FEUERBACH (1866-1939), noted German novelist and writer of inflammatory anarchist treatises. Feuerbach emigrated to the United States in 1886, arriving in Chicago shortly before the Haymarket Massacre, and is believed by some to have thrown the bomb that started the Chicago police shooting into the crowds. The massacre—one of the deadliest clashes between labor and authorities in American history—is the focus of Straka’s third novel, The Square, a book that appears to tell the hidden story behind the event with an indisputable ring of truth and access to little-known details and facts that have since been proven to be true. Feuerbach allegedly escaped from police that day and fled back to Germany, where (we now know) he lived under an assumed name in a flat atop a haberdashery in the town of St. Goar. (Passersby often remarked upon the sounds that came from inside: fingers pounding angrily on typewriter keys, and occasional shouts of frustration and/or triumph.) He published many anarchist pamphlets under his own name, including the hugely-influential Die Münze der Verdammten, as well as five novels under his own name (including Das rollende Fass (1893) and Schießpulver-Tee (1901). None of the novels sold particularly well but received notice because of the author’s popularity among anarchists, his rumored past, and the mystery of his whereabouts). In 1937, a reporter searching for Straka followed a trail of clues to the flat and claimed that he saw two men fleeing the building via a back exit. Joseph Goebbels read the ensuing article and demanded that the writer (though he was a known anarchist and a rumored homosexual) devote his literary talents to glorifying the Reich. Unbeknownst to the Nazis, though, Feuerbach had already escaped Germany and fled to Dublin, where he lived his final years in relative obscurity. He died after a long illness in 1939. He gave a statement to Irish authorities on his deathbed, but it was not to confess to the Haymarket bombings or to a career writing as Straka but to request that his typewriter be shipped to an address in Rangoon. The typewriter was delivered but never claimed, and it was probably stolen or destroyed during the Japanese occupation of Burma during World War II. The Square was likely written by someone with first-hand knowledge of (ore even participation in) the Haymarket bombing. TIAGO GARCÍA FERRARA (1887-1945), Spanish essayist and poet,. Born in Valencia, García Ferrara had his first successes as a writer while he was still a university student. Baila, Josefina (1905) was a wildly popular account of young love, followed by En el Vino, Mi Vida (1909). A gap in his production followed, and he later acknowledged that he was searching for more serious, more mature subject matter about which to write. He found his niche in a series of books that advocated for economic equality and agricultural reform in Spain’s rural regions. Increasingly politically active—and a thorn in the side of those at all levels of power—he eventually became a prominent voice in the Republican cause. Of his mature prose works, Somos los Toros (1931) was the most popular and critically well-regarded. La Paradoja del Jueves (1924) is generally acknowledged as his finest collection of poetry. Beloved in his home country (and, increasingly, beyond it), García Ferrara fell deeply out of favor when he abandoned the Republican cause in late 1937 and capitulated to the Fascists. His reasons for doing so were unclear, although there is general agreement that, having married a much younger woman and started a family for the first time, he lost his willingness to risk his life and his family’s safety. There is also general agreement that he guaranteed his safety by delivering his former comrade and close friend Amarante Durand into the Fascists’ hands—an offense for which neither Spain nor the literary community nor the world at large has ever forgiven him. He never published a word thereafter. He retreated into isolation, struggling to support his family on their unproductive apple orchard and, reportedly, crippled by depression and regret. October 30, 1945, he was found hanging from a tree in the orchard; a suicide note nailed to the trunk contained only an apology to his family for disappointing them—nothing about Durand, his choice to collaborate, or whether he had been Straka. Abandoned radical left to collaborate with Fascists. His memoirs and essays were boldly—even wildly—frank and confessional, socially, politically, and in every other way…Why adopt a pseudonym for your novels when you have nothing to hide? LEWIS LOOPER (1883 – vanished 1930), allegedly Straka’s American-born literary agent. He claimed to have been born in 1885 in Wilkes-Barre, PA, educated at Columbia University, and introduced to German publisher Udo Karst (of Karst & Son) on the maiden voyage of the Lusitania in 1907. There is no evidence that any of this was true—not even the existence of Udo Karst. The man who called himself Looper disappeared in 1930 after he was tracked down (and identified) by a man named Radek Rybarik, who claimed to have been a friend and coworker of young Vaclav Straka in 1909-10. The only corroborating evidence, though, is a blurry photo of a man on a city street who is turning his back on the camera; Rybarik was institutionalized shortly thereafter, casting doubt upon his claims. Today, Looper is generally assumed to have been a fictional persona used by the author himself, donned occasionally for public appearances at which Straka—whoever he was—did not want to be recognized. There was probably at least some connection between Straka and Looper. If so, it’s more likely that Straka was Looper than that Looper was Straka. Some, including Fontana, speculated that Looper was simply a con man using Straka’s celebrity and works for money and attention. After a fallow period in the 1920s, MacInnes returned to Europe—by his own account fighting on the Republican side in the Spanish Civil War, though today he is thought to have exaggerated his activities while in Spain—and settling into cozy emeritus positions at Cambridge and the Sorbonne and presiding over the well-funded MacInnes Institute for Multitudinal Studies. Several more novels followed, most notably The Sands of Kom Ombo (1940), Still Life with Delirium (1944), and Roe (1950). A gregarious and charismatic (if pompous) man, MacInnes became well-known for his attendance at exclusive parties and at gatherings of the world’s intellectual, artistic, and economic elites; his rumored romantic pursuits were reported in newspapers worldwide; and he accumulated a great fortune. He was a nearly ubiquitous presence on British and American television programs throughout the 1960s (including a memorable moment when John Lennon disgustedly stormed off the set of “Evening Brandy with Gibby Wickers” rather than be interviewed sitting alongside him). Whenever MacInnes was asked if he was Straka, he laughed off the possibility, although a careful parsing of his words reveals that his responses were subtle, studied pieces of non-denial. His 1966 novel, A Swindle of Cowbirds, was an international best-seller, though it was largely dismissed by the literary establishment as a mere framework for a series of thinly-veiled caricatures of writers and artists who had run in MacInnes’s various social circles (including, probably, Ekstrom and Durand). “That’s quite all right,” MacInnes (in)famously told a reporter from the New York Times when asked about the criticisms of the book. “Today, whilst my critics are buying sarnies from an automat, I shall purchase another island in the South Pacific.” He died in 1969 of a heart attack while on safari in Kenya. There are many good reasons to believe that MacInnes was Straka, but I must confess that it is difficult for me to do so. My reason is simple (and perhaps simplistic): I simply don’t think MacInnes’s novels are as good as Straka’s. MacInnes’s books may have lush descriptions of settings, abundant witticisms, and philosophical asides that many readers find enlightening, but no MacInnes novel has ever terrified, outraged, or moved me as much as Straka’s weakest works have. It’s possible, I suppose, that MacInnes wrote all the books but was at his best when writing under the pseudonym—i.e., writing without the pressure of being The Famous Guthrie MacInnes—but I remain a MacInnes skeptic. Details/characters in A Swindle of Cowbirds suggest that MacInnes and Straka ran in similar social circles. His least-productive period was when Straka was most productive. His writings and public statements, while exhibiting a rebellious streak, don’t square with Straka’s aggressive (and often strident) anti-capitalism—especially his later works. While there were many stylistic similarities in the two writers’ early works, MacInnes’s prose became much more ornate/showy; the divergence seems clear from about 1930 onward. The Nineteenth Prince of Spiders (c. 400 A.D.), allegedly an important religious and political leader from the third phase of the Nazca civilization. (N. b.: The Nazca lived in what is present-day Peru and are known for their creation of mysterious geoglyphs that extend over long stretches of desert ground.) According to Straka, Prince of Spiders, a 1951 book by the American clairvoyant/amateur archaeologist/Straka enthusiast Sullivan Dunn, this Nazca prince was his society’s “keeper of narrative” and has continued to deliver stories, Muse-like, to writers throughout the world and throughout the ages. Dunn speculated that the prince’s transcendent powers may have stemmed from a connection to a wise and culturally-advanced race of extraterrestrials, though he noted, helpfully, that he had not yet unearthed conclusive proof of this. Dunn’s disciples, though much fewer in number today, are still extant (and vocal) in the world of amateur Straka sleuthing. Some people apparently have believed Dunn’s story. Dunn’s story is patently unbelievable. Sindu Singh (1900-1974), Indian poet and humanitarian. Perhaps unfairly, Singh is no longer remembered as one of the great writers of the Indian independence movement, even though his poetry collection Vilāpa (Lament) was a galvanizing text for many of its leaders. This may be because he alienated many of them by turning his focus to more global issues before independence was achieved in 1947—a decision that left him more popular outside his home country than inside it (even though Gandhi had given his explicit blessing for Singh to do the work he felt called to do). In 1948, he resettled in Geneva, enjoying a burst of creative productivity, publishing twelve books of poetry and prose over the next fifteen years, including Purpurea (1960), a collection of verse that won dozens of international literary prizes and continues to influence poets around the world. In his later years, Singh traveled and lectured a great deal but lived primarily in New York, where he served as an unofficial pan-cultural ambassador to the United Nations. 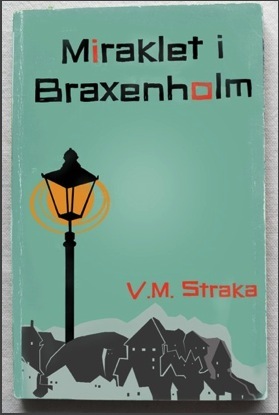 Florence Stoneham-Smith (1904-1983), a British schoolgirl who, at the age of ten, was at the center of a media storm when her parents claimed she had written the first two novels attributed to Straka (the prizewinning Miracle at Braxenholm (see image) and The Cordillera, which had nearly as much success). Young Florence told reporters that she was able to do so by channeling the spirit of Floris of Bruges, a martyred fourteenth-century nun. (Her parents had taken her to Belgium on holiday, and while they were visiting the ruins of the cloisters, Florence had a sort of ecstatic seizure and reportedly began speaking in the dead holy woman’s voice.) As for the later Straka works: upon the publication of each one, she would write letters to newspapers around the world claiming to have authored the book with guidance from her long-dead namesake. As one might expect, public response was increasingly skeptical, even derisive. This theory has seen a bit of a comeback in recent years among readers connected to certain circles of Catholic mysticism; its supporters point to the fact that deeply-religious Florence never recanted, and in fact reiterated her claims to a priest when she was on her deathbed in 1983 after a fall in her home. The only book that Florence Stoneham-Smith published under her own name was a 1956 memoir, I Am Straka, which was reissued in 2008 by a Lancashire-based publisher of religious texts. Some people apparently have believed her story. Her story is patently unbelievable. Vaclav A. Straka (1891-1910), who worked in a Prague factory that made either armaments or ladies’ shoes (depending on the source). Little is known for certain about him. Born in Oslov (South Bohemia) and probably educated only rudimentarily, Straka appears to have found work in Prague in 1908 or 1909. According to a newspaper item from 1910, he became despondent about his future prospects and jumped from the Charles Bridge, drowning in the Vltava. There is no record that his body was found, but there is also no evidence that he survived; his connection to V.M. Straka is largely founded on the similarity of their names and on the account of a former friend (Rybarik, the man mentioned in the Looper bio) who said the young Vaclav Straka was interested in unionism and in writing. In a way, this is the simplest of the authorship theories, akin to the orthodox stance in the Shakespearean authorship controversy (which holds that the plays and poems were, in fact, written by the provincial actor named William Shakespeare, even if it’s hard to believe that he was erudite or well-traveled enough to have done so). In another way, this is incredibly farfetched, requiring us to believe not only that Vaclav Straka, with his modest upbringing, could have written such novels but also that he faked his death, changed his identity, and left no further evidence of his existence (apart from the books credited to V.M. Straka). More common is the belief that the person who would become the “real” Straka—a writer of subversive works seeking to conceal his identity—appropriated the name of a little-known suicide to use as cover. There’s nothing in his background (to the extent that it is known) to suggest education of any note, writerly gifts, overseas travels, or knowledge of any of the arcane subjects of which Straka’s books make use. Victor Martin Summersby (1880 - 1951), American pulp novelist and screenwriter. Summersby worked a number of jobs (insurance adjuster, milkman, boxer, piano tuner) and was studying as a seminarian when, in 1905, he sold a handful of stories to a horror magazine called Vespertinium. He quickly followed with five novels within two years, most of which were commercially unsuccessful and of dubious quality (the best of the lot being 1907’s My Four Lives). While he did not sustain this pace—his next book did not appear until 1912—he did average a book every ten months or so for the rest of his life. He wrote several screenplays of note, including the adaptations of his own novels Salome’s Sister (1913), Blood Beryl (1925), Below the Ice (1928), The Stairs to Never (1933), Death in Chrome (1940), and Forty Fathoms (1944). Summersby died when he fell from an ocean liner on an Atlantic crossing in 1951. None of his works show a particularly active or acute political consciousness; Summersby was a tale-spinner (and, some would say, a check-casher) above all else. Those who believe he was Straka argue that he was simply a writer who decided to keep his “entertainments” and his “serious literature” completely separate from each other; they offer little explanation of the vast stylistic gulf that separates Summersby’s workmanlike prose from Straka’s. While Summersby’s initials—VMS—would seem a trivial detail in the Straka debate, many of his supporters have premised their arguments upon this concurrence. Often-cited, too, is the fact that Forty Fathoms and Straka’s Coriolis, both published in 1944, share many significant plot points, scenes, settings, and themes. Was this one writer telling a story in two different ways? One writer plagiarizing from another (and if so, who plagiarized from whom)? The evidence is equivocal at best. Summersby was rumored to have occult interests, to be able to speak with the dead, to be fascinated with forces of ancient evil, etc., although it’s difficult for many scholars to imagine V. M. Straka doing anything but scoffing at such nonsense. Of course, these may have been rumors that Summersby started and/or encouraged to generate publicity and spur book sales; there is no evidence that he seriously embraced any of this. Interestingly—and perhaps significantly—many the same critics who dismiss Amarante Durand as a candidate because she was too productive in her own life to have written all of Straka’s books as well have no such reservations about the staggeringly prolific Summersby. Only wrote what we think of today as “genre” works.